All-Weather Floor Mats were intended to give the best possible protection for your 2015 Toyota RAV4's floor. Many of our front and rear mat applications are model specific, while others are assigned as the best possible fit for your 2015 Toyota RAV4 from our many shapes and sizes. Some rear mat sizes are designed to be trimmed so that they may be customized to fit almost any vehicle. 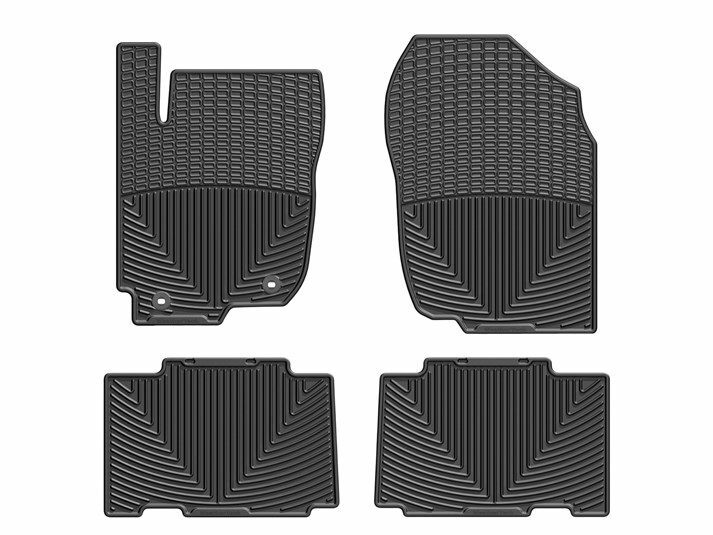 I purchased these all weather floor mats for my sister's Rav4 and they fit perfect. No complaints here. Best floor mats ever! Well worth the money. Toyota no longer makes the rubber mats for my car. The parts guy at the dealership I go to actually recommended WeatherTech mats. I was not disappointed. Going back to get the cargo liner as well. Thanks WeatherTech!!!! I bought this floor liner for the front seats of my borther's RAV 4. I bought it in January and his birthday wasnn't until today. It was quite a surprise for him. They fit wonderfully! I didn't know what to expect as I had not opened the package before today. I am glad that your company was recongnized by so many people in the White House. Thanks for thinking American. I will buy the middle seat liners next year for his bithday, when i will be able to afford them.. Thanks so much! I have finally gotten my dream car, the RAV4 by Toyota! I have added protection now with my all weather mats. They fit perfectly just as described. Now I don't have to worry about the ice forming on my new carpets as we get into winter. They are absolutely perfect and will protect my investment! Thanks weather tech!! I love my floor mats. They are custom fit for my car. The entire floor is covered so the rug stay nice and clean.